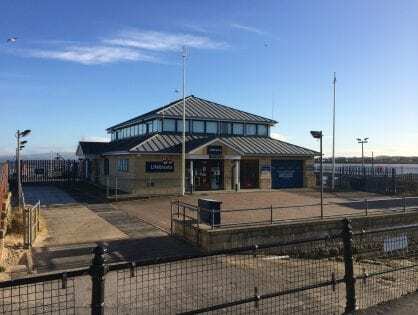 Marine Beach is the ‘seaside’ bit of Fleetwood seafront. 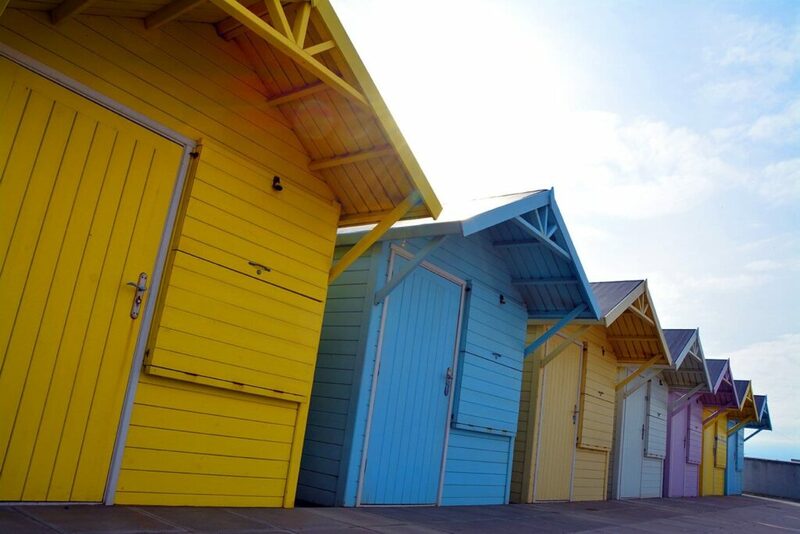 It’s where sandy beaches meet the seafront pathway, backed by pretty beach huts painted in pastel colours. 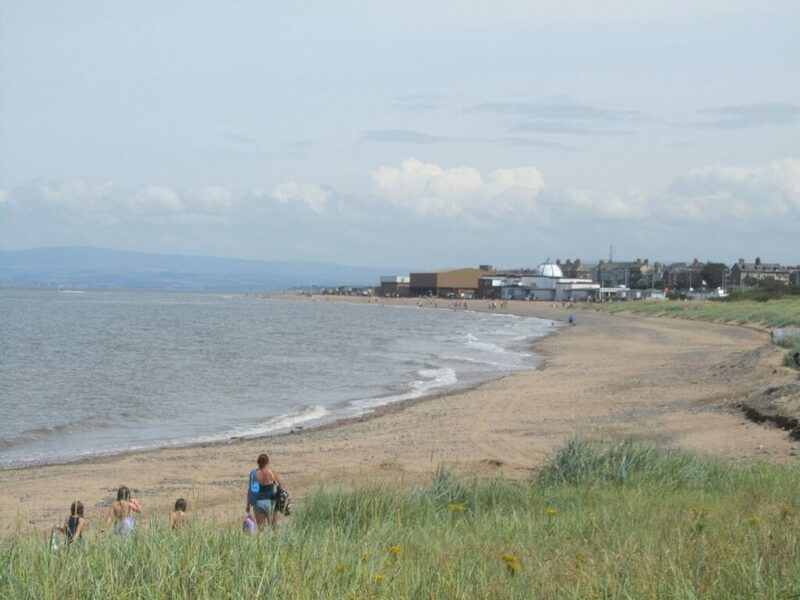 Marine Beach at Fleetwood is what you’d call a traditional seaside beach. It’s a place for families and children on warm days and in summer. It’s popular throughout the year with walkers and people who love the coast. Pack up your buckets and spades and head to Marine Beach for a day of fun in the sun. 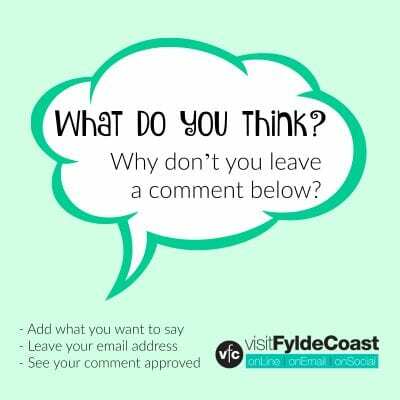 Enjoy the fresh air, a safe paddling beach and a traffic free seafront. bring a deckchair to sit and enjoy uninterrupted views across the sea, with Morecambe Bay in the background. It’s an unspoilt landscape with miles of rolling golden sands and a different scene to enjoy every day. Whatever the weather, it’s always better at the beach! 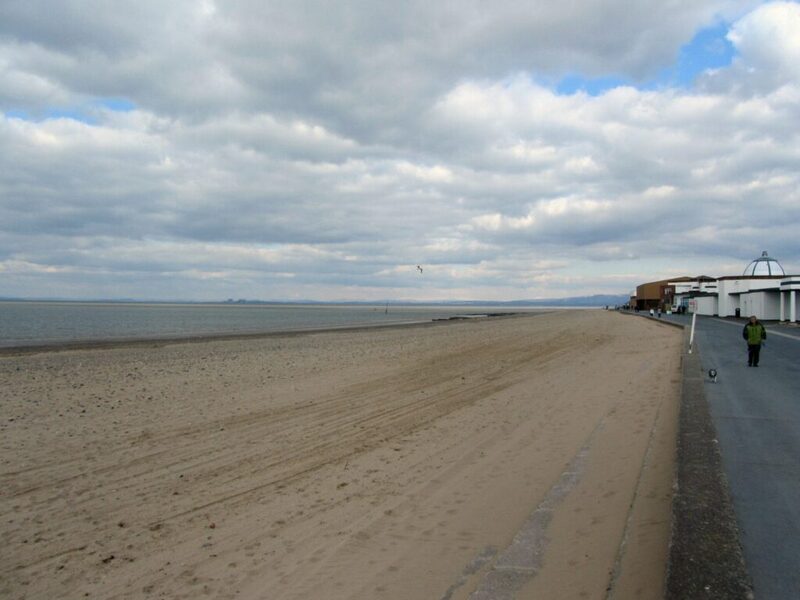 Marine Beach holds a Seaside Award, awarded by Keep Britain Tidy, for cleanliness and good management. 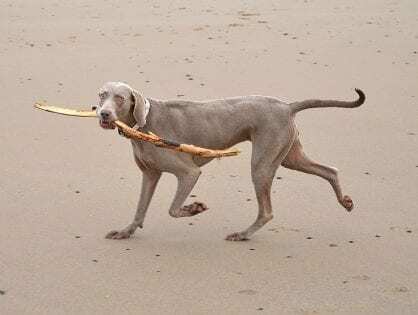 There is a seasonal dog ban at Marine Beach during the summer. Public facilities at Marine Beach include Danfo public toilets plus various cafes and refreshment facilities. 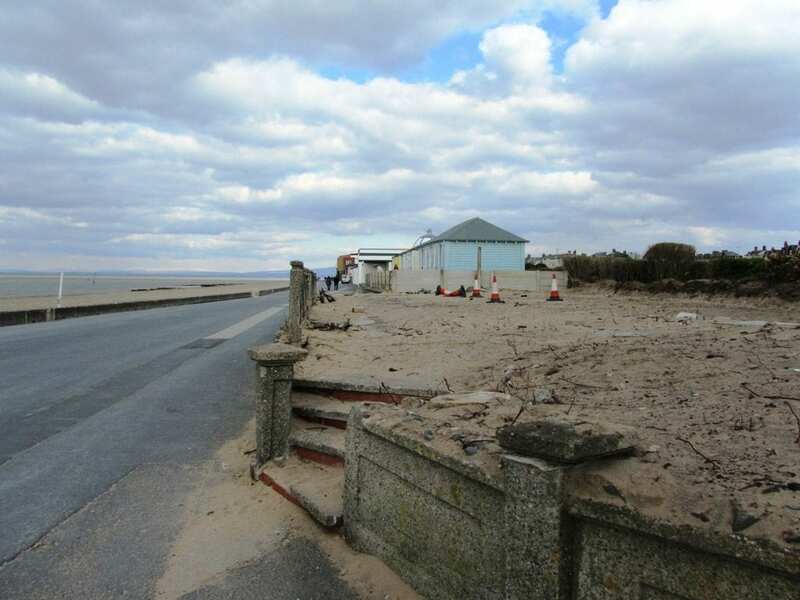 Marine Beach stretches from roughly opposite the North Euston Hotel around the site of the former Fleetwood Pier. It carries on past the beach huts and swimming baths. Wrapping around the Marine Hall and bowling greens to the Kite Club. There, the managed ‘seaside’ beach gives way to the natural beach and sand dunes. 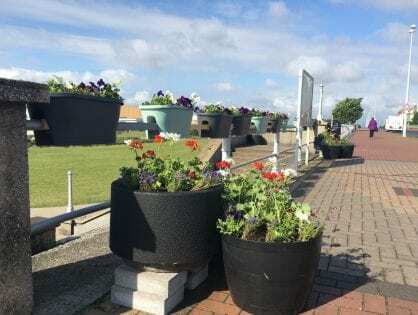 On foot, pick up the seafront footpath which goes right around the Fleetwood peninsula, at one of the many access points. 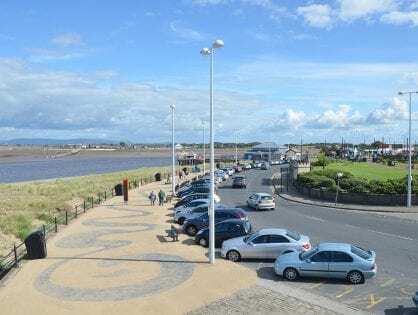 By car, you’re best to head to the Marine Hall where you can park on The Esplanade. Staying for the day? 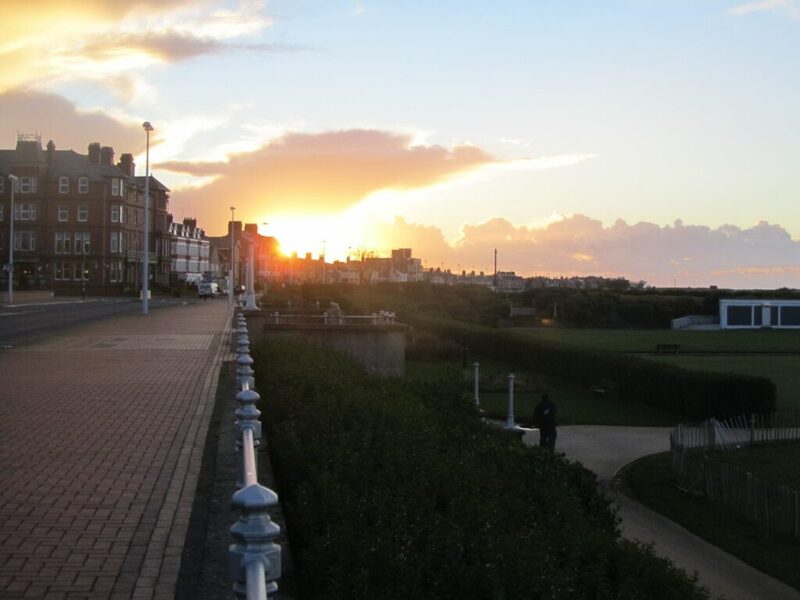 There’s also a free pay and display car park against the seafront at the left of the Marine Hall and gardens. You’ll see it signposted from the promenade near to The Mount public house (below left). Marine Beach also has a community spirit of its own. 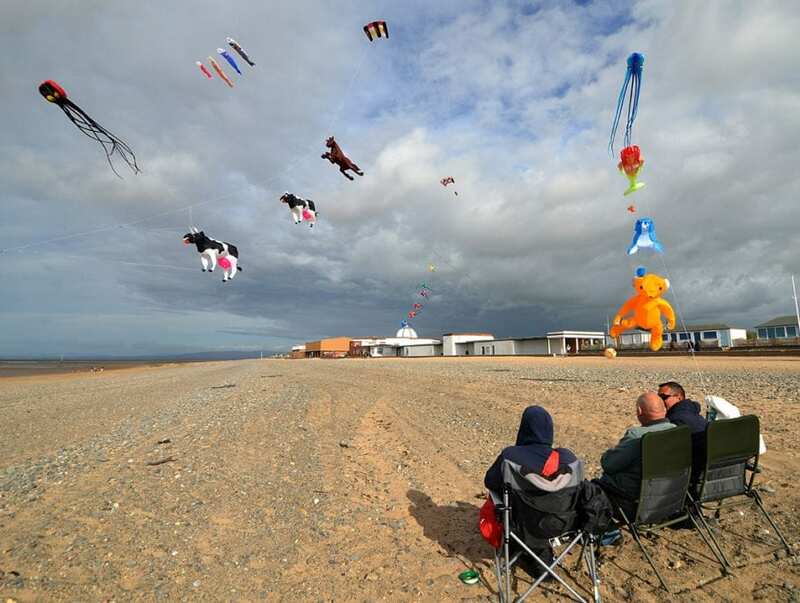 It’s home to Fleetwood Kite Club, made all the more attractive by the cafe! There are often kitesurfers to watch here, and other beach sports. 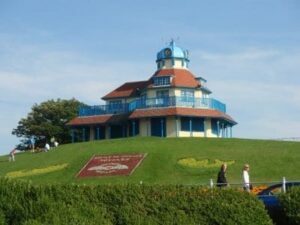 Fleetwood attracts enthusiasts from all over the north west and even further afield, along with the resident population of sports people. 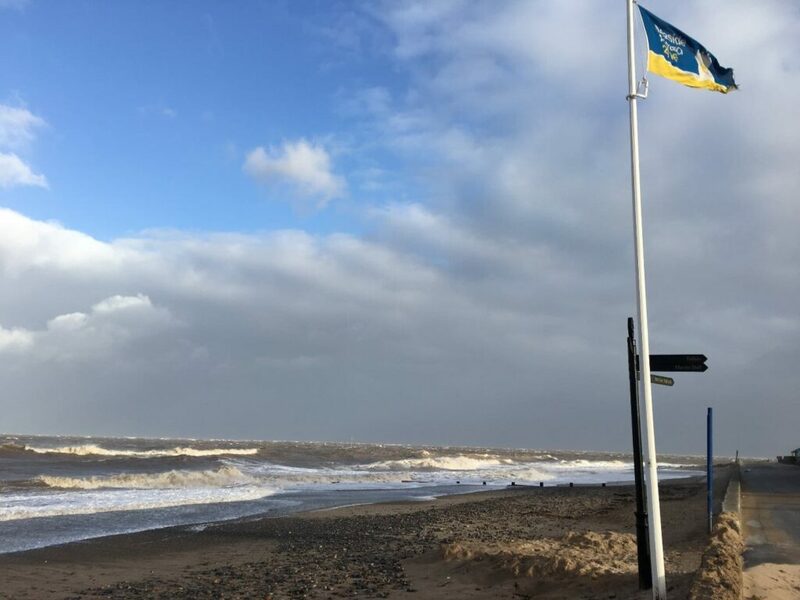 If the weather conditions aren’t quite right for kitesurfing at Marine Beach, the kite surfers usually go south around the coast to Rossall Beach at Cleveleys! 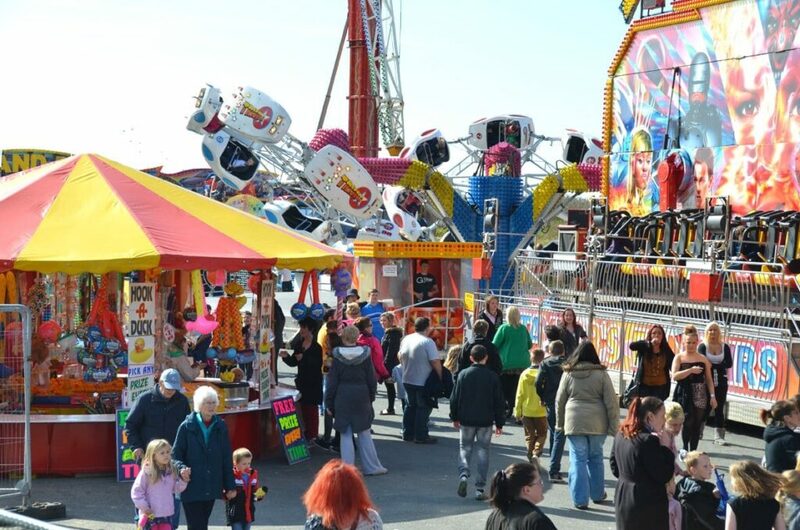 Marine Beach car park is also where the funfair comes to visit a couple of times during the year. 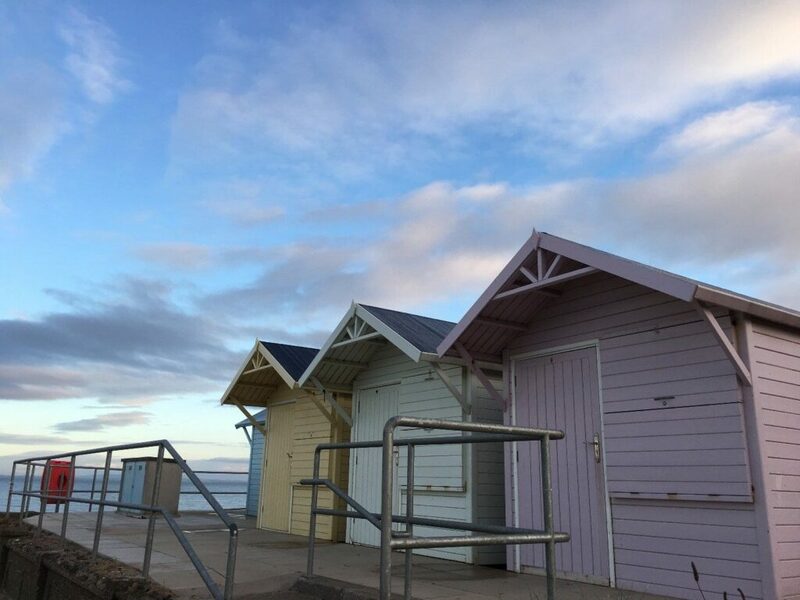 All of the beach huts in Fleetwood are in the area of seafront around Marine Beach – around both sides of the Marine Hall. Traditional beach huts, or chalets if you prefer, are at both sides of the Marine Hall. The original ones are near to the children’s play area and in 2014 Wyre Council added a further ten. They’re the ones on the corner adjacent to the kite club and cafe (below). Brightly painted with a simple traditional design in timber with a felt roof, these huts have a door and window in the front. The window’s protected with a shutter when not in use. Huts had stood there previously. Before the new ones were built you could see the original concrete pads. The space below the colonnade at the Marine Hall was converted into ten modern beach chalets in 2016. The modern beach chalets are let on a six year lease. As a tenant you’re responsible for internal and external maintenance (excluding the roof), services, building insurance and business rates. Plus legal fees for taking over the tenancy. Would you like your own Beach Hut?  Visit Fleetwood is created for you by The Rabbit Patch Ltd. We’re a design and creatives company right here on the Fylde Coast. We have an online shop where we sell our own original art. 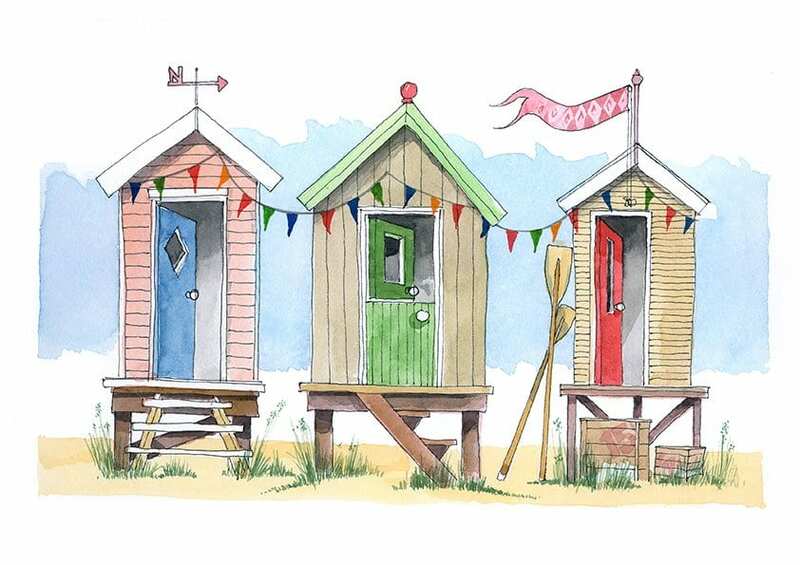 This is our beach hut watercolour painting – available framed or as a plain print. 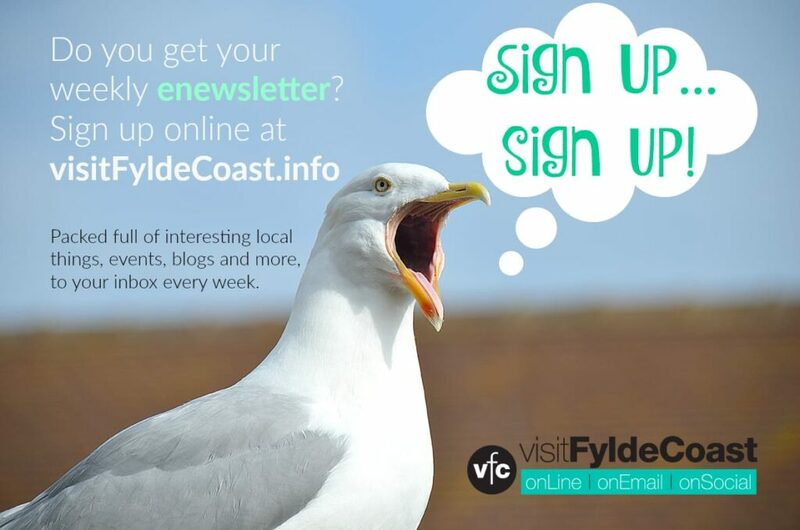 Follow the link and have a look around at both local scenes and traditional seaside views.